Bum. I’ve just realised I’ve not actually finished the previous Dishonored DLC, The Knife of Dunwall. I’m halfway through the second mission. 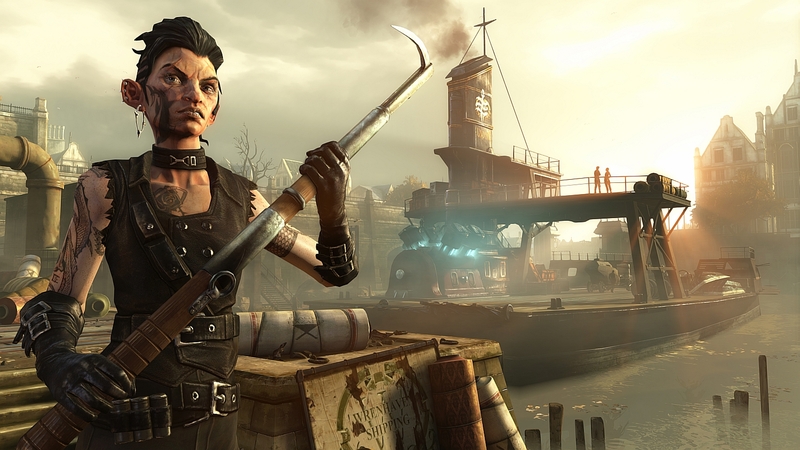 Usually that wouldn’t be a problem, but Arkane took the odd decision to make their DLC episodic, and Dishonored: The Brigmore Witches continues the story they started in the Knife of Dunwall. You are still Daud, fighting for redemption. If anyone else is in my position then it’s best you don’t look below the cut. Spoilers! Ooh. Ahh. Right. Interesting… aw. Well, that’s that spoiled for me. So it turns out the mysterious Delilah of the previous DLC was the leader of the Brigmore Witch coven, currently attempting a ritual that Daud must stop. 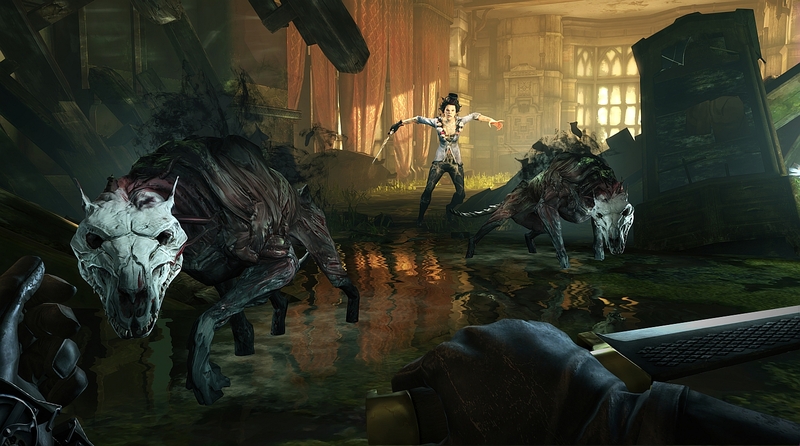 To do so he needs the help of a pair of gangs, the Dead Eels and the Hatters, to pass through some new Dunwall districts. That’s what we’re really here for: those lovely buildings. Draper’s Ward is one new area, and it sounds pretty packed. Says the press release: “Explore its streets, hazardous sewers and the two rival gangs’ home bases: the textile mills and the boat docks.” You’ll also return to Coldridge Prison to bust out the leader of one of the the Dead Eels, before rounding off the tale in Brigmore Manor. They’ve even squeezed a new power in: Pull will let you draw enemies to be held in front of you and used as a human shield. I’m a big fan of the manors and houses of Dishonored, so at least I have an incentive to continue on. If you did complete it, any amendments you made to your character will be carried through to this DLC. Clicky for big screenshots, though I have shrunk these down from the ridiculous 7 kajillion pixels they were. Tagged with Arkane Studios, Bethesda, Dishonored: The Brigmore Witches, Dishonored.